In the vicinity of Hermeskeil, a small town some 30 kilometers southeast of the city of Trier in the Hunsrueck region in the German federal state of Rhineland-Palatinate, archaeologists from Johannes Gutenberg University Mainz (JGU) have confirmed the location of the oldest Roman military fortification known in Germany to date. These findings shed new light on the Roman conquest of Gaul. The camp was presumably built during Julius Caesars’ Gallic War in the late 50s B.C. Nearby lies a late Celtic settlement with monumental fortifications known as the “Hunnenring” or "Circle of the Huns," which functioned as one of the major centers of the local Celtic tribe called Treveri. Their territory is situated in the mountainous regions between the Rhine and Maas rivers. "The remnants of this military camp are the first pieces of archaeological evidence of this important episode of world history," comments Dr. Sabine Hornung of the Institute of Pre- and Protohistory at JGU. "It is quite possible that Treveran resistance to the Roman conquerors was crushed in a campaign that was launched from this military fortress." The existence of this site with a size of about 260,000 square meters had been known since the 19th century, but its interpretation was controversially discussed. "Some remains of the wall are still preserved in the forest, but it hadn't been possible to prove that this was indeed a Roman military camp as archaeologists and local historians had long suspected," Hornung explains. 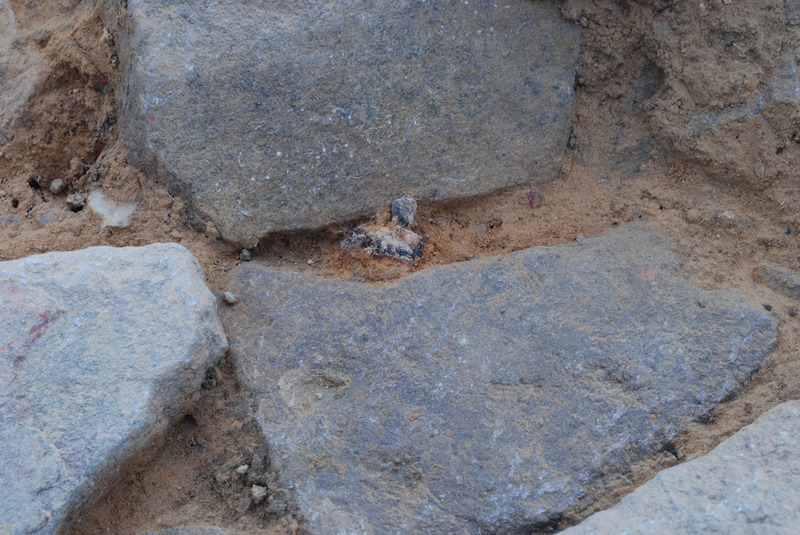 The breakthrough came through systematic investigations closely linked to archaeological research conducted in the vicinity of the Celtic settlement "Hunnenring" near Otzenhausen in the St. Wendel district. The Celtic fortification is located just 5 kilometers from the military camp at Hermeskeil and can be seen directly from the site of the Roman stronghold. As a result of agricultural development, large sections of the former military camp can no longer be recognized and are in danger of being lost forever. Sabine Hornung and her team began their work in Hermeskeil in March 2010, supported by the Rheinische Landesmuseum Trier. Initial research enabled them to determine size and shape of the military camp that was fortified by means of an earth wall and a ditch. They determined that the fortress consisted of an almost rectangular earthwork enclosure with rounded corners, which, by its size of about 182,000 square meters, provided space for several thousands of soldiers, including both legionaries and mounted auxiliaries. An extension of additional 76,000 square meters encompassed a spring, which thereby secured water supply for the troops. 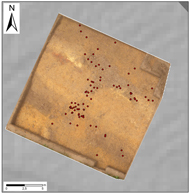 These findings made it possible to undertake targeted excavations in which one of the gates of the camp was discovered in summer 2011. This consisted of a gateway paved with stones crossing the fortifications consisting of wall and ditch. In the gaps between these paving stones, Hornung's team of archaeologists found numerous shoe nails originating from the sandals of Roman soldiers that had loosened as they marched along. The size and shape of the nails were among the first indications that the military camp at Hermeskeil dated back to the time of the late Roman Republic or the Gallic War. 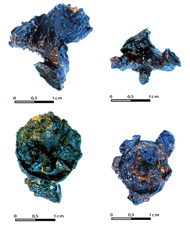 This theory was subsequently confirmed by shards of earthenware vessels discovered during excavations and further verified using scientific dating methods. The special historical significance of the Hermeskeil military camp lies in its relationship to the neighboring Treveran settlement "Hunnenring". Based on the findings of their recent excavations, Hornung and her team were able to confirm that this settlement was abandoned by its inhabitants around the middle of the 1st century B.C. Before the identification of the camp near Hermeskeil, however, it was only possible to speculate that this abandonment had had something to do with the Gallic War. In his "De Bello Gallico," Julius Caesar reported that the tribe of the Treveri was split into anti-Roman and pro-Roman factions. The anti-Roman faction, led by the aristocrat Indutiomarus and his relatives, fomented unrest that resulted in Roman reprisals in 54/53 B.C. and 51 B.C., over the course of which the Treveran resistance to the invaders was broken. The discoveries near Hermeskeil have potentially provided the first direct archaeological evidence for this dramatic episode in world history. These iron shoe nails once protected the soles of Roman soldiers' sandals. The pattern of a cross with four studs that can be seen on the underside is largely typical for the time of the late Republic. Their size, with a diameter of up to 2.6 cm, is also characteristic for this period. View of the exposed gateway of the camp at Hermeskeil with the remains of the stone pavement. The darker areas in the lower section mark the filled-in camp ditches while to the north there is a narrow berm behind which is the earthen wall to whose rear the remains of a scorched wickerwork construction were found. This served as a stabilizing support for the wall made of heaped soil that had been dug out of the ditches. 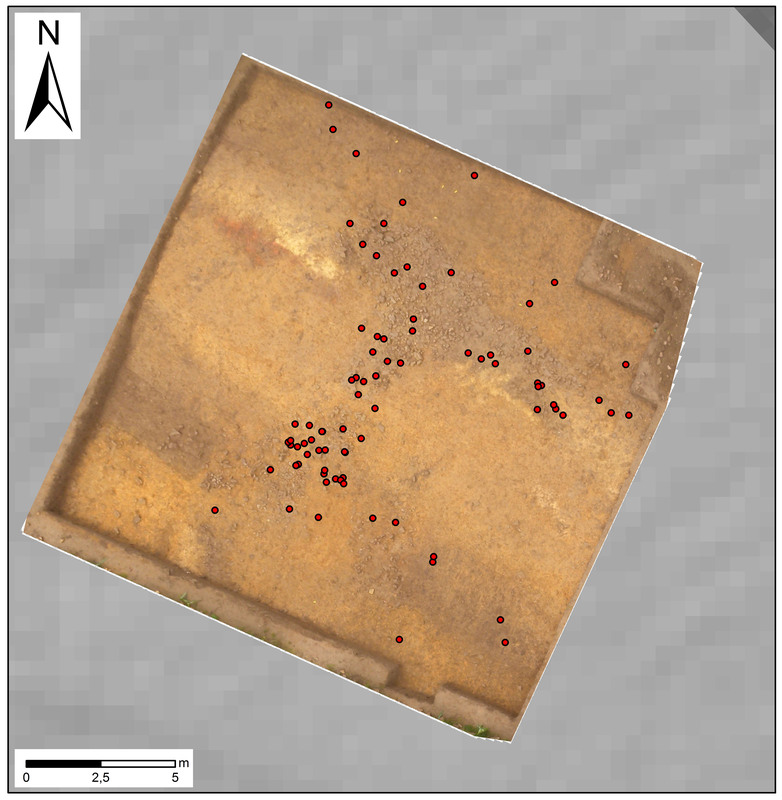 The dots mark the different sites where shoe nails from the sandals of Roman soldiers were found.